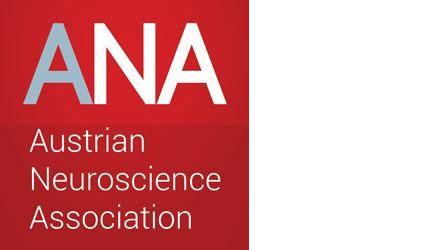 The Austrian Neuroscience Association (ANA) aims at being the stage for the Neurosciences in Austria. 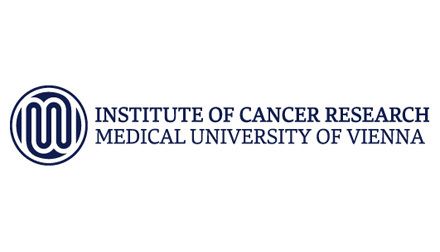 We are the national partner for FENS (Federation of European Neuroscience Association) and by this connected to European Neuroscience and beyond. ANA organizes Annual Meetings and coordinates the annual international Brain Awareness Week that, under the patronage of the European Dana Alliance for the Brain (EDAB), takes place in several cities in Austria. ANA, on the other hand, has initiated a number of public discussions on science policy and research funding. We repeatedly reminded politicians – and will continue to do so in the future – that funding sciences is crucial for the prospects of our country. Every other year, ANA awards the Otto Loewi price worth 5.300 € to outstanding neuroscientists who have accomplished a major part of their work in Austria. We provide travel grants for young scientists for ANA and FENS meetings, for the Brain Conferences in Copenhagen, for the FENS Summer (at Bertinoro/Italy) and Winter Schools (Kitzbühel/Austria), for the CAJAL Advanced Neuroscience Training Programme (at Champalimaud/Lisbon and Bordeaux/France), for slots in National Courses (of the NENS Schools program), and even for the transcontinental YITP exchange program with China, Japan, and Australia (see the FENS Website). Axonlab ist ein unabhängiges europäisches Distributions-, Dienstleistungs- und Produktionsunternehmen in den Bereichen medizinische Labordiagnostik, Life Science und Softwarelösungen. Mit mehr als 27 Jahren Erfahrung im Markt steht Axonlab für hohe Exzellenz, ausgeprägte Servicequalität und innovative Systemlösungen. Das Unternehmen beschäftigt rund 300 Mitarbeiter in Österreich, der Schweiz, Deutschland, Belgien, Luxemburg, Tschechien, Slowenien, Kroatien und Holland. Axonlab versteht sich als nachhaltig agierendes Unternehmen, das für Krankenhäuser, Ärzte, Privatlaboratorien, Forschung und Industrie ein aktiver und zuverlässiger Partner ist. Axonlab is an independent corporation involved in distribution, service, software, and production activities for customers in medical/ diagnostic labs and the life sciences. With its more than 27 years of experience, Axonlab stands for the highest degree of excellence in service and system oriented solutions. The company has more than 300 employees in Austria, Switzerland, Germany, Belgium, Czech Republic, Slovenia, Croatia and Netherlands. Axonlab sees itself as a sustainable company and an active and reliable partner for hospitals, doctors, private laboratories, and public and private research. Die Firma Bartelt ist eine der führenden Labor-Komplettausstatter in Österreich und bietet umfangreiche Leistungen und Beratung in den Bereichen Laborausstattung, Laborbedarf, Chemikalien, Geräte-Service, Prozesstechnik und Laborsoftware. Erklärtes Ziel der Firma Bartelt ist die flächendeckende Versorgung heimischer Labore und Forschungseinrichtungen, um den Forschungs- und Industriestandort Österreich im Rahmen der Möglichkeiten unterstützen zu können. 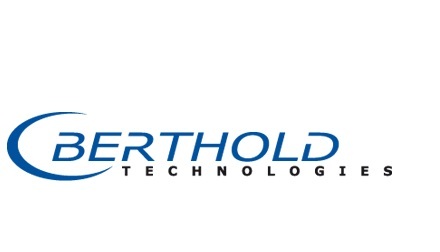 Berthold Technologies is a global detection and automation technology leader in life sciences. Our extensive range of product solutions made in Germany helps to ensure quality and performance for every lab.We provide user-friendly, accurate bioanalytical system solutions for biomedical, pharmaceutical, biotechnological, and basic research laboratories. These technologies make possible the identification, quantification and analysis of the molecular, physical and biological properties of thousands of substances and products. It is our mission to enable our customers to improve life in meaningful ways. bio-ferm (Biotechnologische Entwicklung und Produktion GmbH) was founded in 2004 as a start-up spinn-off of the University of Natural Resources and Life Sciences Vienna (BOKU). bio-ferm is working on the international product registration and marketing of innovative biotechnological plant protection products. Microorganisms which were isolated from nature and fermented in the laboratory act as antagonists and prevent specifically the infection by pathogens (e.g. botrytis, storage diseases, fire blight).The advantages of our products are obvious: no chemical residues, no resistances, non-GMO production and registered for IP and organic growing systems. BioCat GmbH, located in the Heidelberg Technology Park in close proximity to the German Cancer Research Center, is a privately held company founded in 2000 to market innovative products and services for life science research. BioCat offers a wide range of high-quality research reagents as well as cutting-edge technologies in the fields of genomics, proteomics, and cell biology. For tissue-related applications, tissue microarrays as well as RNA, cDNA and proteins isolated from a wide variety of common and hard-to-obtain tissues are available. The product portfolio is grouped by applications and research areas making it easy to find the optimal solution for a research project. The product offering comprises a large selection of antibodies, ELISA kits, cell-based assays, PCR, cloning and next generation sequencing reagents as well as tools for genome engineering (CRISPR/Cas9), gene silencing, microRNA analysis, exosome research, epigenetics and stem cell research. The products and services provided have been developed by our partners in Canada, Germany and the US. They are made available through BioCat to researchers in academia as well as in pharma and biotech industry. At BIOMIN we harness the power of science to support animal health and performance. By applying state-of-the-art and proprietary technology we deliver natural, sustainable and profitable solutions to the livestock industry. For over 30 years we have pioneered innovative solutions for mycotoxin risk management and gut performance. Cell Signaling Technology Europe, B.V.
Vier Technopole vernetzen international anerkannte Spitzenforschungs- und Ausbildungseinrichtungen mit der Wirtschaft. Wieselburg Bioenergie, Agrar- und Lebensmitteltechnologie. enGenes Biotech develops customized solutions for the production of recombinant proteins in Escherichia coli and the baculovirus/insect cells expression systems by combining next-generation genetic engineering with a broad expertise in bioprocess engineering. In addition to these services we are developing IP in the field of recombinant protein expression, soon available for out-licensing. Eppendorf ist ein führendes Unternehmen der Life Sciences und entwickelt und vertreibt Instrumente, Verbrauchsartikel und Services für Liquid-, Sample- und Cell Handling zum Einsatz in Laboren weltweit. Das Produktangebot umfasst Pipetten und Pipettierautomaten, Dispenser, Zentrifugen und Mischer, Spektrometer, Geräte zur DNA-Vervielfältigung sowie Ultra-Tiefkühlgeräte, Fermentoren, Bioreaktoren, CO2-Inkubatoren, Schüttler und Systeme zur Zellmanipulation. Verbrauchsartikel wie Pipettenspitzen, Gefäße, Mikrotiterplatten und Einweg-Bioreaktoren ergänzen das Sortiment an Premiumprodukten von höchster Qualität. Our direkt support of international renown researchers and scientists requires the highest standards of maintenance and operation of our equipment and services. Standards that we can guarantee our customers. ERBER Group is a group of healthy and profitable businesses which are aligned for organic growth on a global scale and show a strong ability to innovate. One of our greatest competitive advantages are our highly committed employees who have a lot of market knowledge and act in an entrepreneurial way based on scientific findings. The great sense of team spirit and the readiness to help is lived in every division towards customers, business partners, as well as colleagues. The core of our businesses are long-term relationships with all our stakeholders as this is how we understand sustainable management to be lived at its best. ERBER Group consists of BIOMIN, ROMER LABS, SANPHAR, BIO-FERM and EFB. Working for ERBER Group means being a Pioneer, Partner and/or Performer leaving foodprints to make this world a better place! The ERBER Group is an expert organization and world leader in its core business of mycotoxin deactivation. Powerful in-house research and development provides the basis for developing customer-focused and innovative solutions, which is particularly supported by collaborations with renowned universities and research institutions. The company was founded in 1983 by Erich und Margarete Erber in Pottenbrunn (Austria) and is still family run. With the establishment of the new headquarters in Getzersdorf, the owners show their commitment to Austria as business location. Special emphasis is placed on sustainable location policy and corporate governance. Leave your foodprint with us! Check our website for current career opportunities. A World Leader In Genomic Services. Eurofins Genomics is part of the Eurofins Scientific Group, a life science company with 15,000 employees in more than 190 laboratories across 37 countries. We are excited about the power of DNA and how it is incorporated in everything we do. We are focussed on providing excellent customer support, together with the highest quality services, to ensure we remain as one of the world’s leading genomic service providers. Eurofins Genomics is known globally for its innovative technologies in the life science arena including academic institutions, biotech and the pharmaceutical industry. We have established an outstanding team of more than 500 talented experts and a broad range of technologies in the field of genomic services, forensics, agroscience, pharmaceutical, environmental, food and feed testing at our fully automated production facilities in Europe, USA, Japan and India. This unique team supports our approach to offer best practises and flexibility for all our clients – from academic institutions to large companies around the world. Comprehensive services are available for all your study or project needs in the field of analysis, research and development. These services are available from single sample analysis all the way through to the high throughput levels involving several thousand samples. Important traits in agricultural plants and livestock such as yield, drought resistance, pathogen resistance, feed efficiency and quality linked parameters are genetically encoded. We provide a flexible, competent service with global reach, high industry standards and scalable capacity. One of our in-house experts will be assigned to be your project manager ensuring excellent support and communication. We will find the perfect solution for you by integrating the latest technologies for sequencing and genotyping. We have a great deal of expertise and experience in handling all types of research projects. Our expert team employs more than 80 PhD’s in all disciplines related to genomics to make your project a success. Innovation And Expertise For Optimum Service. Eurofins Genomics‘ expertise in the synthesis of oligo-nucleotides has made the company a European market leader and a strong global player with fully automated production facilities around the world. We apply proprietary processes to offer Optimised Application Oligos and synthetic nucleic acids in the highest quality and standards. Eurofins Genomics has an international reputation as an expert for sequencing projects of all sizes, with the fastest turnaround times, and can also manage the most complex sequencing projects. Our sequencing service is accompanied by smart logistic concepts and accessories for your optimal service experience. As one of the first service providers for next generation sequencing, Eurofins Genomics continues to shape the future of NGS projects today with excellent know-how and proprietary protocols to cover a broad range of applications. Our unique skills in sample preparation, library generation and data analysis support your individual needs and allow you to utilise state-of-the-art technology. We provides gene synthesis services for standard genes, complex genes or gene libraries in a highly sophisticated and streamlined process by utilising our in-house oligonucleotide production and sequencing services. These are also used to ensure the highest quality control. 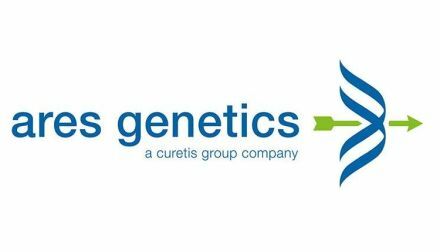 With the help of our proprietary software GENEius*, Eurofins Genomics is fully geared to convert any DNA or amino acid sequence into its optimised synthetic gene which is perfectly designed for all types of applications. Our long-term expertise in DNA genotyping and gene expression analyses as well as our certified high-quality laboratories have ensured we have become an international leader in the fields of Applied Genetics, DNA Forensics and Pharmacogenetics producing hundreds of thousands processed DNA samples a year. Due to our outstanding and broad portfolio for the different markets we are the support centre for DNA and RNA testing within the global Eurofins group. Eurofins Genomics operates worldwide through a network of more than 500 talented employees positioned to serve both the emerging and established markets. Our whole team works industriously to establish new standards in the world of DNA and RNA. Quality is our top priority to ensuring we deliver products and services with the highest standards. This is fully demonstrated in our QM/QA-system and our quality policy. 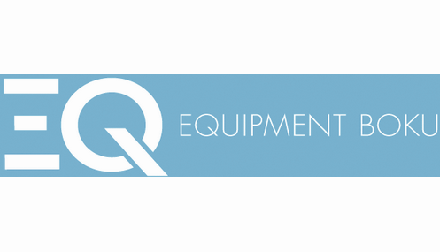 Our QM/QA-system is certified according to ISO 9001, including the requirements of ISO 13485 (medical devices requirements) and accredited according to ISO 17025. We are also compliant to the principles of Good Laboratory Practice (GLP) and Good Clinical Practice (GCP). Our quality policy is anchored in our QM/QA-system, which states our commitment to customer satisfaction through high quality products and services together with relevant compliance and accreditation. The quality policy of Eurofins Genomics extends to all of our employees and company associates since they are key for the success of our business. Exputec skaliert und optimiert Bioprozesse für Unternehmen in der pharmazeutischen und chemischen Industrie sowie für Unternehmen der erneuerbare Energien. So werden zum einen die Herstellungsprozesse - von der Forschung zur Industrieproduktion – skaliert und zum anderen werden bestehende Herstellungsverfahren optimiert. Exputec verfolgt einen integrierten Lösungsansatz bei dem die gewonnen Kenntnisse während der Analyse nahtlos umgesetzt werden in Softwarealgorithmen zur Steuerung der Bioprozesse. Fachhochschule kooperiert dabei mit der BOKU, dem IFA-Tulln und den zahlreichen Biotech-Firmen am Campus. den daraus resultierenden beruflichen Möglichkeiten. In Zusammenarbeit mit Forschungsinstituten, Industrie und Wirtschaft entstehen laufend thematische Impulse. Dabei werden sowohl Forschungsdienstleistungen im direkten Kundenauftrag getätigt, als auch öffentlich oder privat geförderte Forschungsvorhaben umgesetzt. Dabei liegt der F&E Schwerpunkt im Bereich der Analyse und Charakterisierung von Naturstoffen und biotechnologischen Prozessen mittels chromatographischer, spektroskopischer und molekularbiologischer Verfahren sowie im Optimieren von Fermentationsprozessen und -medien im Labormaßstab auf Basis einer systematischen Versuchsplanung und begleitender Analysen. 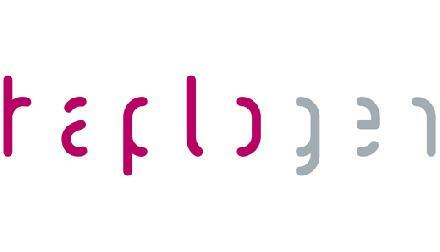 Haplogen is a young biopharmaceutical company with the mission to improve human health by combating infectious disease. The Institute of Science and Technology Austria (IST Austria) is a young international institute dedicated to basic research and graduate education in the natural and mathematical sciences, located in Klosterneuburg on the outskirts of Vienna. IST Austria is committed to conducting world-class research. By 2026, up to 90 research groups will perform research in an international state-of-the-art environment. LabConsulting - Wir beraten Sie und bieten Groß- als auch Einzelhandelsprodukte von über 600 Herstellern an - und das seit 1997. LabQ - Wir richten uns nach Ihren Bedürfnissen und entwickeln eigene innovative und ökonomische Produkte. Gegründet im Jahr 2007 entwickeln wir in unseren Forschungslabors am Standort Campus Vienna Biocenter Produkte für die Molekularbiologie. Unser Portfolio umfasst eine vielfältige Produktpalette, Services sowie Software für die Datenanalyse im Anwendungsbereich RNA-Analyse und Next Generation Sequencing. Wir produzieren und vertreiben unsere Produkte auch selbst vom Standort Wien aus in einen weltweit rasant wachsenden Markt. LI-COR® Biosciences Inc. ist führender Hersteller von Geräten für die Bio- und Umwelttechnologie sowie Pionier in der Entwicklung der Nahinfrarot-Fluoreszenztechnologie. Basierend auf dieser Technologie entwickelt LI-COR® Biosciences Detektionssysteme für Genomics, Proteomics und Molecular Imaging. Protein Nachweissysteme (Western Blot Imaging), Fluoreszenzmarkierte Antikörper, Tumor Biomarker, Assays und Reagenzien für Proteomics Analysen und Wirkstoffentwicklung. Direkter Vertrieb von Produkten über Online Shop (licor.con/bio/store) oder auf Anfrage. LISAvienna ist die gemeinsame Life Science Plattform von austria wirtschaftsservice und Wirtschaftsagentur Wien. Im Auftrag des Bundesministeriums für Digitalisierung und Wirtschaftsstandort und der Stadt Wien trägt sie zur Weiterentwicklung der Life Sciences in Wien bei. LISAvienna unterstützt innovative Biotechnologie-, Pharma- und Medizintechnik-Unternehmen in Wien, die neue Produkte, Dienstleistungen und Verfahren entwickeln und auf den Markt bringen. Die Plattform vernetzt diese Unternehmen mit Entwicklungspartnern und Leitkunden. Als zentraler Wissensträger liefert LISAvienna Entscheidungsgrundlagen für den Aufbau der Life Sciences in Wien und wirkt bei der Positionierung der Stadt Wien als eines der führenden europäischen Innovationszentren mit. Die Ludwig Boltzmann Gesellschaft (LBG) ist eine Forschungseinrichtung mit thematischen Schwerpunkten in der Medizin, den Life Sciences sowie den Geistes-, Sozial- und Kulturwissenschaften, die gezielt neue Forschungsthemen in Österreich anstößt. Die LBG betreibt gemeinsam mit akademischen und anwendenden Partnern aktuell 19 Ludwig Boltzmann Institute und Cluster, entwickelt und erprobt neue Formen der Zusammenarbeit zwischen der Wissenschaft und nicht-wissenschaftlichen Akteuren wie Unternehmen, dem öffentlichen Sektor und der Zivilgesellschaft. Gesellschaftlich relevante Herausforderungen, zu deren Bewältigung Forschung einen Beitrag leisten kann, sollen frühzeitig erkannt und aufgegriffen werden. In der LBG sind über 550 MitarbeiterInnen beschäftigt. Das LBG Career Center (LBG CC) wurde mit dem Ziel eingerichtet, die Karriereperspektiven der rund 200 NachwuchswissenschafterInnen (Pre- und Post-Docs) der Ludwig Boltzmann Institute (LBI) in und außerhalb der Wissenschaft zu verbessern. Seitdem begleiten wir unsere Pre- und Post-Docs mit individuellen Angeboten (Coaching, Karriereberatung, Gründungberatung, etc.) und institutionellen Angeboten (Expert Talks, Skills Trainings, Internships, etc.). Der Medizintechnik-Cluster der oö. Wirtschaftsagentur Business Upper Austria ist die zentrale Schnittstelle zwischen Wirtschaft, Wissenschaft und Medizin. Ziel ist es, die rund 230 Partner im Bereich der Medizintechnik zusammenzuführen und gemeinsame Projekte zu initiieren. Seit Bestehen des Clusters (2002) konnten bereits 84 Ideen der MedTech-Branche in Projekten erfolgreich umgesetzt werden. Ausgehend vom zentralen Thema der Medizintechnik fokussiert der Cluster seine Aktivitäten auf 3 Schwerpunkte: MedTech.Transfer (mit der Initiative MedTech.Transfer), MedTech.IT (mit der Initiative Digital MedTech) und MedTech.Ein- & Umstieg (im Wesentlichen: Regulatorien). Mit der Initiative MedTech.Transfer hat sich der MTC zum Ziel gesetzt die Wirtschaft und Wissenschaft in Oberösterreich zu vernetzen, Unternehmen und Forschungseinrichtungen zusammenzuführen und bei der Initiierung und Umsetzung gemeinsamer Projekte im breiten Themengebiert der Medizintechnik zu unterstützen. Im Rahmen der Initiative MedTech.Transfer werden verschiedene Schwerpunktthemen wie (Molekular-)Diagnostik, Bildgebung, Elektronik/Sensorik, Nanomedizin, Werkstoffe und 3D-Druck behandelt. For almost three decades, the companys' objective has been to serve its customers by delivering products and services of the highest quality, on time and with outstanding service – and all this at competitive prices. Microsynth Austria is an Austrian subsidiary of Microsynth AG and is located at the Biotechnology Center Leberstrasse in Vienna. The parent company has it's headquarter in Balgach, Switzerland, and operates further subsidiaries in Germany (Microsynth Seqlab) and Switzerland (ecogenics). Altogether Microsynth employs a staff of about 70 people. Microsynth and its subsidiaries are ISO 9001:2015 certified whereas Microsynth AG is ISO 17025:2005 (i.e. the NGS, Sanger sequencing and genotyping laboratories) certified in addition. Further, Microsynth AG has been authorized by SwissMedic to perform quality control of medicinal products by GMP Sanger sequencing. Lacerta Technologies is a regenerative medicine company harnessing the power of blood serum for human diseases. We combine our outstanding know-how in cell therapies with the expertise in growth factor research for the development of innovative orthobiologics. Our R&D is currently focused on inflammatory diseases, e.g. osteoarthritis, wound healing, as well as dental and orthopedic indications. The company is leveraging hereby the limited development risks and cost-competitive products with the effectiveness of regenerative therapies. 1. Autologous Serum from Platelet Rich Fibrin. A point-of-care medical device for isolating a proprietary growth factor mix from the patient\'s blood has been developed. Ready to be re-applied within a short timeframe for inflammatory diseases (e.g. osteoarthritis), wound healing, ACL reconstruction, tennis elbow and sports surgery indications. 2. Serum albumin coated bone allografts. An off-the-shelf bone substitute which has most of the benefits of stem cells and growth factors without their cost and complexity. It induces the patient\'s own stem cells to proliferate resulting in fast remodeling of the graft. 3. A custom-made bone graft system for specialized clinics and tissue banks (GraftBuilder). It is capable of creating personalized bone graft coatings for demanding cases where inducing bone formation and fighting bacterial infection are both necessary.Lacerta Technologies is a regenerative medicine company harnessing the power of blood serum for human diseases. We combine our outstanding know-how in cell therapies with the expertise in growth factor research for the development of innovative orthobiologics. Our R&D is currently focused on inflammatory diseases, e.g. osteoarthritis, wound healing, as well as dental and orthopedic indications. The company is leveraging hereby the limited development risks and cost-competitive products with the effectiveness of regenerative therapies. The Austrian Society for Tissue Engineering and Regenerative Medicine (ÖGTERM) is an expert group with the aim of networking in the field of basic and application-oriented research on human cells and tissues. ÖGTERM provides information and contacts for current topics in the field of cell and tissue engineering. For this purpose, ÖGTERM organizes events, such as conferences and round table discussions, addressing various target groups. A key aspect of our aims is networking to intensify the interdisciplinary exchange on current research approaches and methods in order to achieve a more efficient use of existing competences and expertise. The focus is on the promotion of young academics, for example through the granting of scholarships and prizes for outstanding achievements and work with a focus on interdisciplinary approaches and development. Pall Life Sciences provides cutting-edge products and services to meet the demanding needs of customers discovering, developing and producing biotech drugs, plasma-derived proteins, vaccines and classic pharmaceuticals. Pall’s leading edge filtration, single-use systems, separation, purification and analytical technologies, as well as technical services in validation, assays and process optimization applicable to laboratory and pilot-scale development, play an essential role in the industry’s ability to manufacture these products. As an established global provider of analytical and purification technologies, Pall supports faster development of new drugs and vaccines around the world, helping to make them safer and require less energy and water to produce. ROMER Labs - Making the world's food safer! ROMER Labs is a leading global supplier of diagnostic solutions for mycotoxins, food pathogens, food allergens, gluten, GMO, veterinary drug residues, melamine and enzymatic food analysis. Additionally, we operate four fully accredited service labs in Austria, Singapore, UK and the USA. SIRION Biotech offers customized viral vector engineering and production services for gene therapy and vaccination development. This possess an all-encompassing viral vector platform for adeno-, lenti- and adeno-associated viruses. De novo vector design enables the construction of individual cell models, catering to the needs of the customer’s work. The service platform enables and expedites advances in drug-, cosmetics- and food industries and independent research groups. To date SIRION has completed over 1500 projects of all sizes, working closely with over 200 customers from academia and industry. Das Unternehmen wurde 1963 gegründet und betrieb vor allem Handel mit Feinchemikalien. Im Laufe der Jahre begann die Spezialisierung auf verschiedene Anwendungsgebiete wie z.B. molekularbiologische Fragestellungen, Zellkulturverbrauchsmaterialien, Laborgeräte und spezielle diagnostische Produkte. Unsere 4 Geschäftsbereiche Diagnostik & molekulare Diagnostik , Laborgeräte & Service, Zellkultur & Verbrauchsmaterial sowie Forschungsprodukte & Biochemikalien halten ein Produktsortiment von mehr als 1.400.000 Artikeln und zahlreichen Dienstleistungen bereit. Alle Produkte sowie zusätzliche Informationen wie z.B. Datenblätter können rasch und bequem in unserem Webshop abgerufen werden. Takara Bio Europe is a member of the Takara Bio Group, a leading supplier of tools for life scientists worldwide. Through our brand names TAKARA®, CLONTECH®, and CELLARTIS™, we develop innovative technologies in the fields of Cell Biology, Molecular Biology, and Stem Cells, including iPS derived hepatocytes and cardiomyocytes and a broad range of culture media, for stem cells or neural cells. VOGELBUSCH plant und realisiert Anlagen für die biotechnologische Industrie. Mit Hauptsitz in Wien und Tochterfirmen in Katy, Texas und in Hong Kong bietet VOGELBUSCH weltweit Ingenieurdienstleistungen von der Projektstudie bis zur schlüsselfertigen Installation von Produktionsanlagen. VOGELBUSCH ist ein Kompetenzzentrum für die biotechnologischen Schlüsselaufgaben Fermentation, Separation, Destillation und Evaporation und verfügt über ein breites Angebot von eigenen Technologien für die industrielle Produktion von Biocommodities wie Alkohol, Bioethanol, Essig, Hefe, Organischen Säuren und Stärkezucker. Spezialisert auf zeit- & temperatukritische Sendungen weltweit.